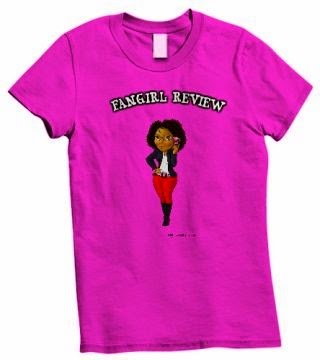 Fangirl Review: Comic Book inspired premium Firefly tank Boilermaker joins the battle! Comic Book inspired premium Firefly tank Boilermaker joins the battle! Wargaming and Dark Horse deliver the highly anticipated second issue of the World of Tanks: Roll Out comic book, available digitally at Dark Horse Digital and in comic book stores in North America, Australia, Western and Eastern Europe today. Exclusively in printed copies of issue #2, is a code for the special Open Fire bundle loaded with in-game items for World of Tanks on console. The next in the series of storyline inspired hero tanks arrives with the Sherman Firefly Boilermaker. Exploding from the pages of the comic book, Boilermaker is now available to purchase for World of Tanks on PlayStation®4, Xbox One and Xbox 360. The action escalates in the next installment of Wargaming’s intense tank combat saga. Garth Ennis (Preacher, War Stories) and illustrator Carlos Ezquerra (Judge Dredd, War Stories Vol. 2) once again take readers back to the battlefield as the British tank crew makes an alarming discovery that could turn the tables on the German Panthers that hunt them. Meanwhile, the German Panther division suffers heavy losses and must reunite with their battalion, only to face a new challenge. Available in the Premium Shop are a series of bundles featuring the comic book’s iconic Sherman Firefly, Boilermaker. Packing a mighty 17 PDR gun, Boilermaker comes with an authentic WWII camo and unique decals that act as spaced armor. Rounding out this impressive package is the inclusion of tank Commander James White who possesses the Last Stand skill. As an added bonus and available only to those who purchase the comic physically, is a code for the Open Fire bundle bringing a platform specific T1 tank and a full load of in-game content like garage slots, fully trained crews and more! 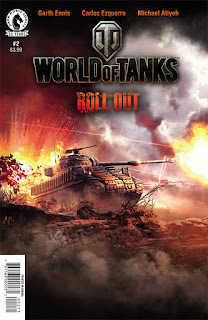 World of Tanks (PlayStation®4, Xbox One, Xbox 360, PC and Mobile) is the first free-to-play massively multiplayer online action game dedicated to armored warfare. With hundreds of vehicles from a variety of countries at your disposal, the path to victory is achieved through team work, strategy and expert combat skill.